Among those to pay homage to her were Taoiseach Enda Kenny, broadcaster Gay Byrne and Dustin the Turkey. RTÉ Director General, Noel Curran, has also paid tribute to her. 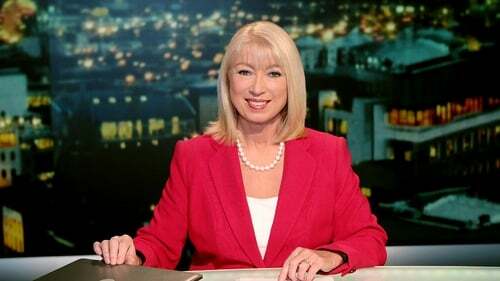 He said: “Anne Doyle has for many years been one of the most familiar faces and voices on RTÉ’s services and is in the front rank of the public’s affections. “While always reading the News with detachment and authority, she has evident warmth which the public has instinctively recognised. Managing Director of RTÉ News and Current Affairs, Cillian de Paor, said of his newsroom colleague: “This is genuinely the end of an era in our newsroom. Anne’s on-screen professionalism has made her a favourite with our audience for many years. Anne recounted some of the many highlights of her newsreading career with some close colleagues who had dropped in specially to the station following the broadcast and summed her up her long career by saying that: “I’ve had a wonderful time here in RTÉ and I will miss it hugely, but it feels like the right time to move on. “I will be 60 in January and there are many exciting projects ahead. I wish all my good friends and colleagues in the newsroom, with whom I have so enjoyed working for over thirty years, every happiness as I take my leave for the final time this evening. Anne is originally from Ferns, Co Wexford, and is the youngest of seven children. An Arts graduate from UCD, she first worked as a librarian, then in the Consular Service area of the Department of Foreign Affairs, before joining RTÉ as a newsreader in 1978. Her interests include animals, particularly cats; literature, poetry, theatre and show business.